The batch, which was produced in line with the European standard BS EN 10346:2015, will dock at Belgium’s Antwerp port and France’s La Rochelle port. According to Vice Chairman of Hoa Sen Group Tran Ngoc Chu, the event marks a considerable development in the group’s export activities and shows Vietnam’s huge potential in the sector. The group aims to export 150,000 tonnes of sheet metal of various kinds to the European market in 2018, he said. The freshly shipped batch was produced at Hoa Sen-Nhon Hoi plant in the central province of Binh Dinh. Currently, construction of the plant’s second phase is underway to meet rising demands both in domestic and foreign markets. 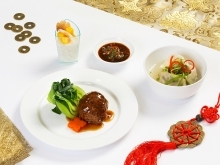 Besides taking lead in the domestic market, Hoa Sen began exporting in 2008. The company’s products have, so far, reached 70 countries and territories worldwide. 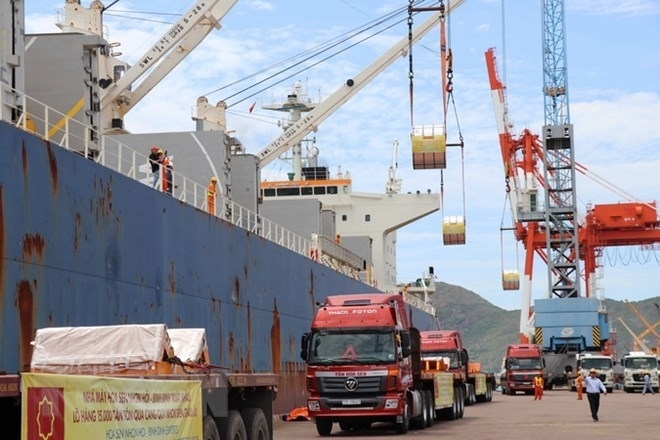 This is also the first time that Quy Nhon port received a cargo ship of up to 63,000 tonnes. Standing Vice Chairman of the provincial People’s Committee Phan Cao Thang affirmed that the locality pledges to create favourable conditions for businesses to branch out their production and exports through Quy Nhon port. The port will also receive support to improve its capacity, he noted. Recently, Quy Nhon port has been upgraded to receive cargo ships of up to 70,000 tonnes. It eyes to become a first-class international port in the future.